I.I. Rabi Award, 2015, to Dr. Ulrich Rohde that recognized his outstanding contributions related to the fields of atomic and molecular frequency standards. LDMOS up to 50 Mhz. 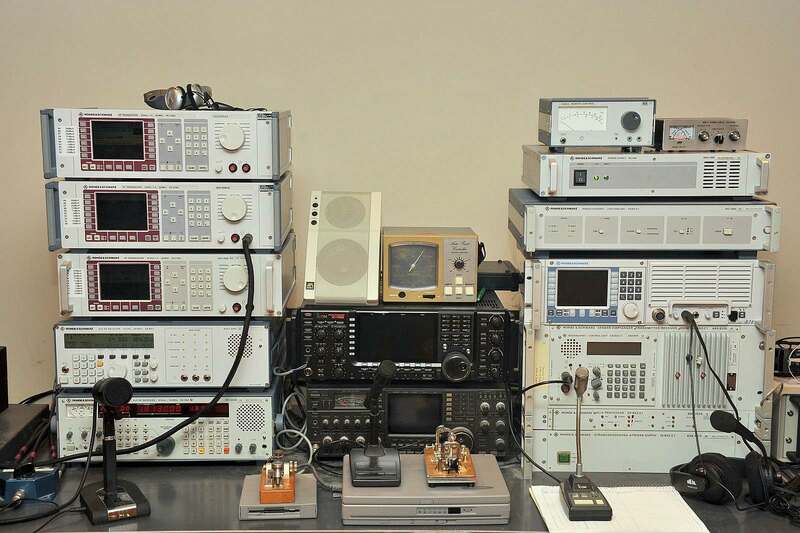 Most excited by: amateur radio is a legal playground to try out new RF devices in every frequency range. Advice to new or returning hams: use amateur radio as a way to meet and have conversations with interesting people over the air. I saw some comments about the MFJ antenna analyzer and no one mentioned the small ATU I have played with. The analyzer does work well, the R&S version is an overkill. Likewise to test QRP rigs on short antennas is fun . How can I leave a picture of my new manpack ? Help, this is KU1DX, brilliant CW operator but not my picture. Who can please change this ? Ich Versuch in DL einige sachten der XK 852 zu bekommen. Mein Träume ist XK 852 mir 1kW der wird auch wahrscheinlich ein trauen sein eine 1kW. Wow, what a story. Dr. Rhode is a real treasure and I enjoyed hearing his story very much. What a stunning career and technical genius. THIS IS NOT ME but a member of R&S USA ! The offending picture was posted by the webmaster of QRZNOW.com. It is not affiliated in any way with QSO Today. He was kind enough to broadcast the podcast to his audience. I sent him a message using the contact form on his website to ask that he use the picture from my website. I have not gotten a reply. firstly and again thanks for the interview and the opportunity to discuss some interesting and hopeful useful topics and I do not want to dominate this website but the picture is not offending but shows a good DXer, KU1DX and he was sitting at my station and deserves the positive credit looking good !